IndigoVision has completed a security upgrade at the Villa Devoto, the seat of local government in Sardinia, which is also home to institutional office of the Sardinian President. 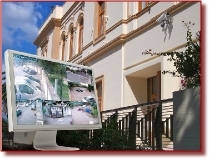 Working with the RAS (Regione Autonoma Sardegna), IndigoVision partners SNT srl and Zerotecnica improved security at the villa by integrating the existing analogue CCTV surveillance system on the perimeter fence, converting it to Video over IP, and by introducing video analytics across the site. The upgrade has in particular allowed the activities of the remote operational centre, of on-site and on-call armed security, and of the local police all to be coordinated to provide a clear overview of what is happening at the villa. This has been done by putting in place multiple instances of Control Center, SMS4TM’s viewing software – including concealed and remote installations. Each site can now take complete control of the system, and a remote sabotage prevention system has been established. IndigoVision’s complete Security Management Solution, SMS4TM, is ideal as it has allowed one overall system to be established, with integrated alarm management and video analysis, in an easy to use format that can be mastered quickly by security personnel. 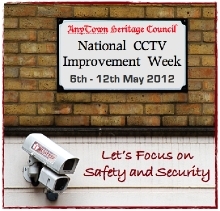 The team retained some existing analogue cameras, connected to the system using IndigoVision encoders. These work alongside IndigoVision 11000 HD and 9000 cameras, connected to Network Video Recorders (NVR-AS 3000s). The equipment was chosen for its high quality, minimal visual impact and vandal resistant capabilities. The majority of the cameras are connected using Power over Ethernet (PoE), and the system is protected by an Uninterruptible Power Supply (UPS). Within the building, an alarm system with triple-technology sensors – infrared, microwave and laser – is integrated into the IP security system. Externally, resistive thermal devices and infrared perimeter lights are run from an independent panel to increase security.